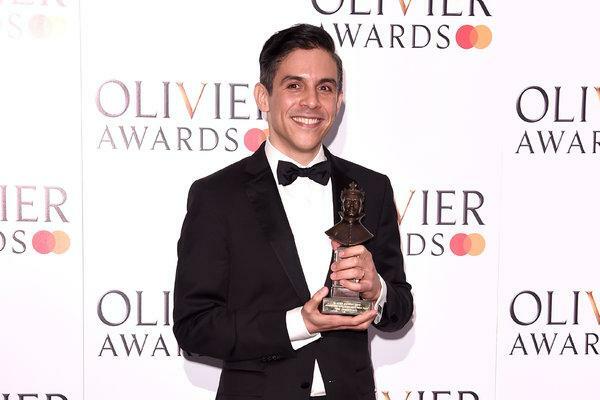 We are delighted to announce that Matthew Lopez’s epic play The Inheritance won four Oliviers at last nights ceremony at the Royal Albert Hall in London. A sprawling two-part play about the lives of gay men in New York dealing with the impact of the Aids epidemic emerged as one of the biggest winners at the UK’s most prestigious theatre awards on Sunday. Kyle Soller, was named best actor at the annual theatre awards in London for his role in the six-hour plus play, beating competition from heavyweight British talents Sir Ian McKellen and David Suchet. The Inheritance rifts off Howard’s End, updating EM Forter’s tale to tell the struggles of the gay community in New York. Along with Soller’s gong for best actor, the play won best new play, best lighting and best director. The play’s writer Matthew Lopez has said the play’s reception and awards was the “culmination of a journey” that began with him “equating being gay with dying” when he was younger.